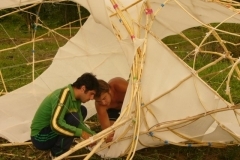 Installation of individual design elements. 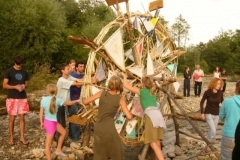 Each participant was able to find her/his own individual contribution to the common. 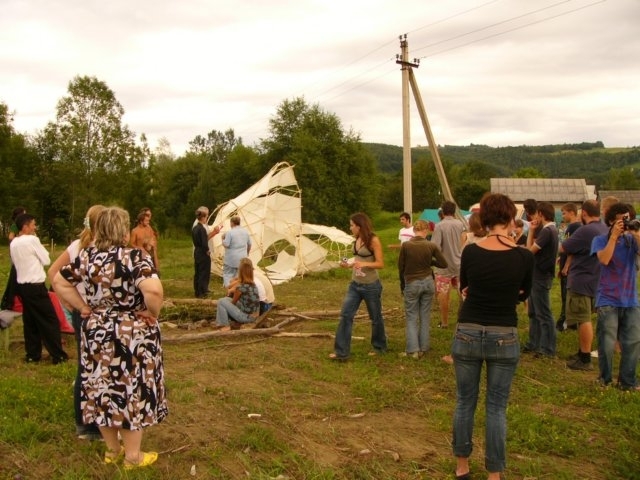 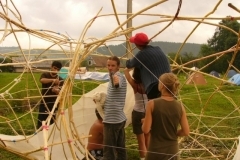 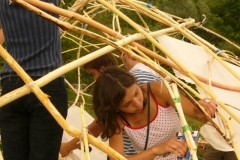 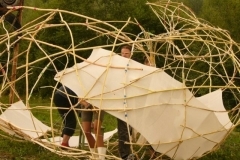 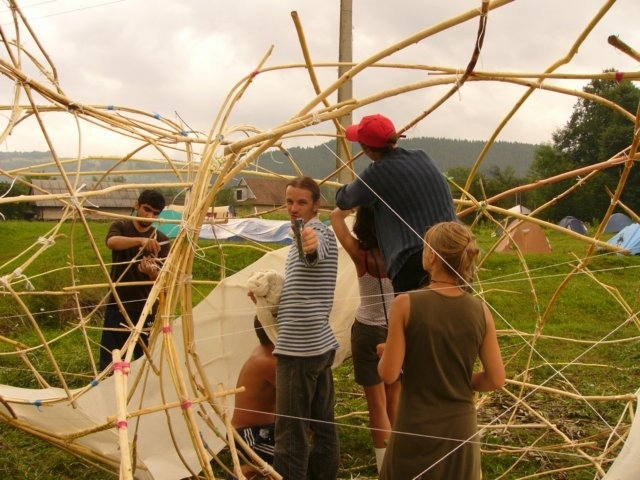 The workshop took place in 2006, in Tekytscha/Carpatian mountains/Ukraine. 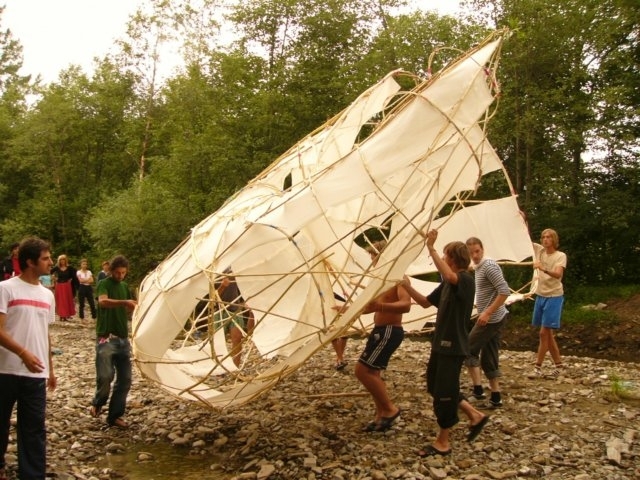 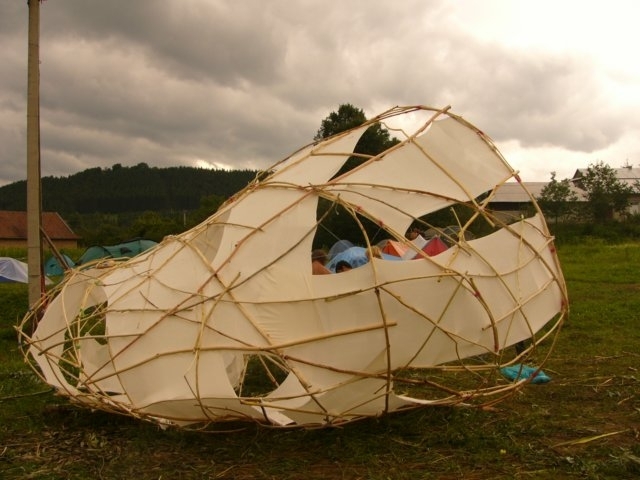 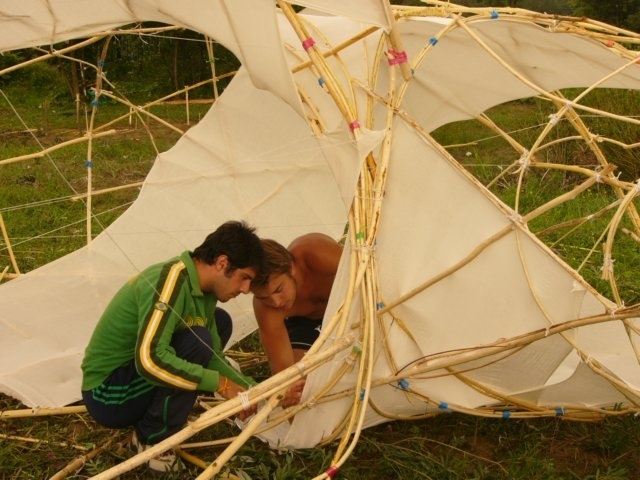 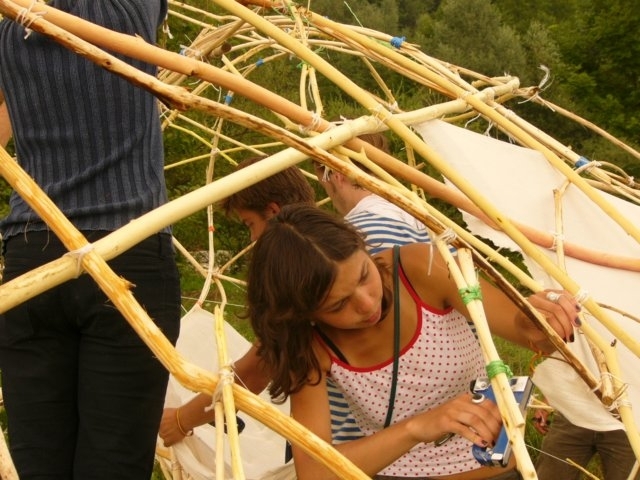 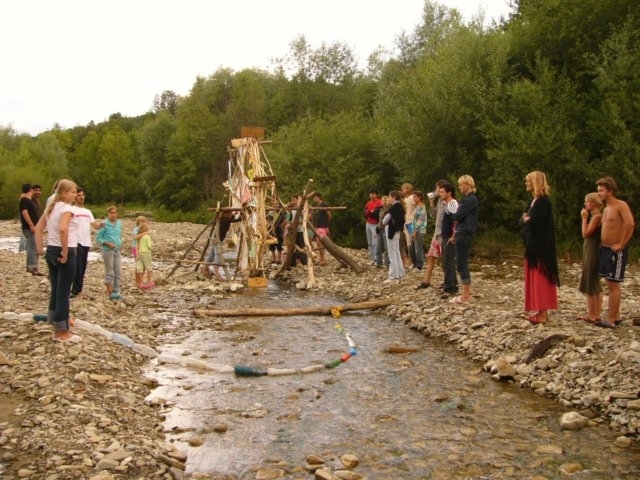 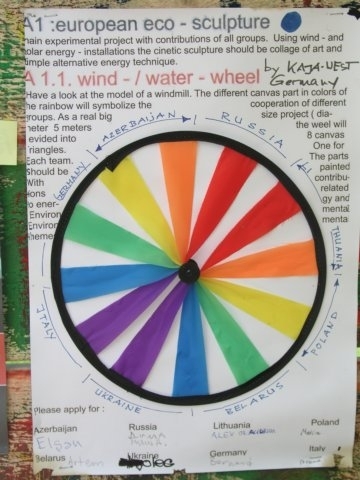 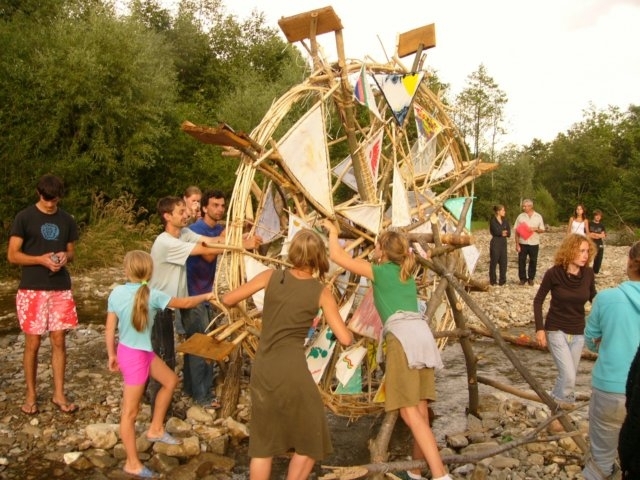 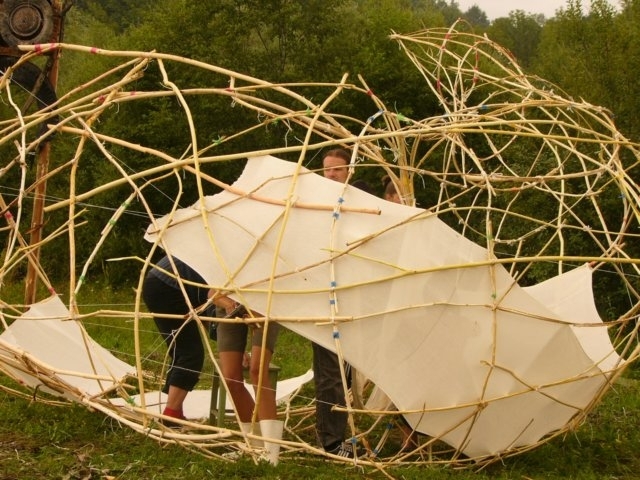 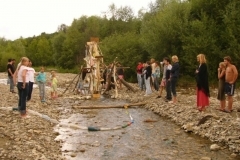 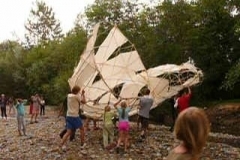 The participation-concept: The common frame was a water- wheel , constructed in the river nearby the camp. 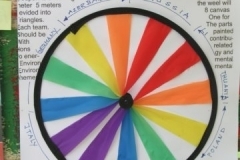 The circle was diveded in eight parts. 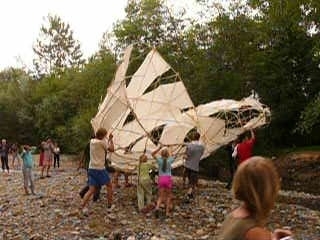 And each of the 8 teams took over responsibility to fill one part with painted triangles , fixed in wood constructions.